The money raised through donations and fundraising events will go towards buying specialist exercise equipment for adults and children with developmental and coordination difficulties. If you are intending to take part in a fundraising event for the Clear Trust, we would love to hear from you so contact us via email or click here to set up your team fundraising page and accept donations to the CLEAR Trust online. We enable children and adults suffering developmental and co-ordination difficulties, brain injury, spinal damage or long-term neurological disorders to participate in physical exercise and rehabilitation programmes. The Clear Trust is registered charity 1125192. Individual donations can be made through our JustGiving page. Gift Aid your donations and Clear Trust will receive an extra 25 pence for every pound you donate. If you are a UK taxpayer, the value of your donation can increase by 25% under the Gift Aid scheme at no extra cost to you! Teams can set up a fundraising page here. Young Onset Parkinson's disease (YOPD). Donations can be made by clicking on the MyDonate image. “Your donation is gratefully received as every penny counts and every pound makes a difference to somebody with a movement disorder or physical disability”. 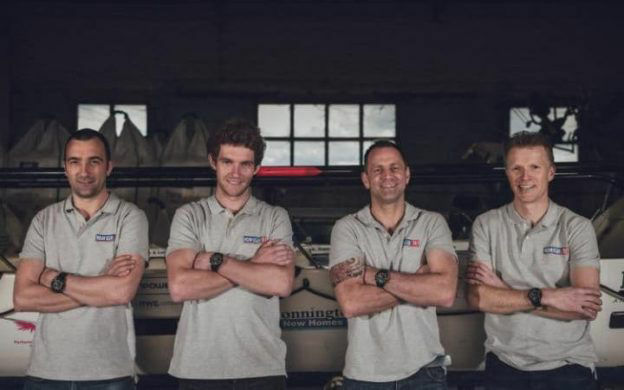 UK crew aim to take new world speed record and help those diagnosed with Parkinson’s disease. In June 2018, a British crew, Indian Ocean 18, will be setting off from Western Australia to row 3,600 miles across the Indian Ocean in a 27-foot-long ocean rowing boat. Once they leave shore, they will be on their own in the vast open ocean and at the mercy of the elements. Powered only by their oars, the boat they will call home for anything between 65 and 85 days will have to provide everything they will need to survive. Rowing in 2 hour shifts and then resting for 2 hours, no member of the crew will have more than 90 minutes sleep at a time. It will be an enormous mental and physical challenge. The reason for this incredible endurance challenge is to raise awareness of Young Onset Parkinson’s Disease (YOPD). One of the Indian Ocean 18 crew has YOPD and the consequent media coverage surrounding the event is expected to provide the crew with the ideal platform to achieve this objective and hopefully inspire others with YOPD to find their own challenge, take up exercise and to keep moving. It’s also hoped that they might set a new world speed record along the way. 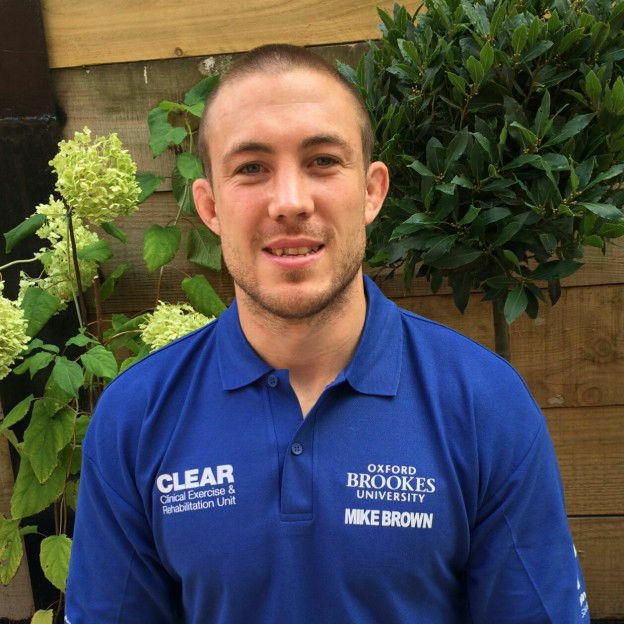 CLEAR Trust is delighted to announce that our special ambassador, the international rugby superstar Mike Brown has recently been engaged in fund-raising for the charity. Mike, who is currently playing for England in the 6 Nations Rugby Tournament, raised the money by auctioning some of his unused England training kit. His donation will enable us to buy buying specialist equipment to provide exercise sessions to young people, some of whom are wheelchair bound with profound, multiple physical disabilities and learning difficulties. Since Mike’s involvement, the CLEAR Trust has received its highest ever number of applications from students who elect to spend 150 hours in the Unit as part of their Work Experience Module at Oxford Brookes University. Everyone here at the Trust, and the students, children and adults who attend the CLEAR Unit thank Mike for his contribution. We wish him every success and, along with the rest of the country, sincerely hope he remains injury free for the rest of the season. 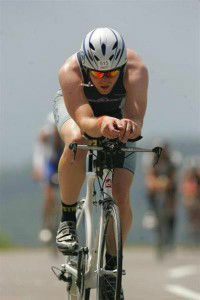 Starting on Friday the 30 of May, Patrick will be commencing on one of his biggest ultra-triathlon challenges yet. 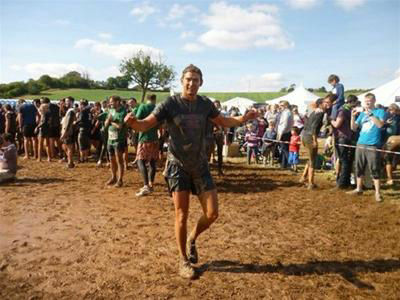 He is doing this challenge to raise money for the CLEAR Unit at Oxford Brookes, a cause close to his heart as he has seen how effective the Unit has been in improving the lives of people with a range of neurological conditions including Parkinson's, Huntington's, MS, stroke and cerebral palsy to name a few. The CLEAR Unit also puts on regular sessions for children with movement disorders to help them to be physically active. 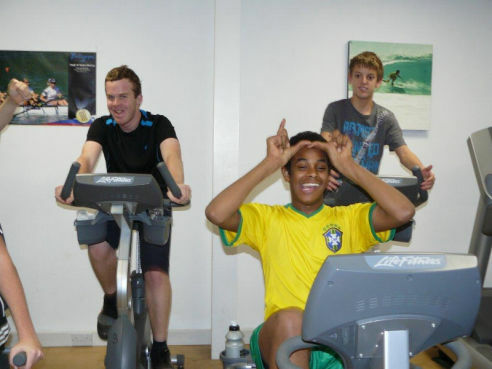 Junior members of the CLEAR Club are repeating last year’s Christmas challenge by cycling a total of 1000 miles on exercise bikes. The distance must be completed by 6.30pm, Thursday 19th December. They have 10 sessions in which to meet their objective. Last year, the target was only achieved during the last 5 minutes of the final session, so once again they will be stretched to the limit. This year the money raised will go towards the purchase of specialist equipment for children with muscular dystrophy, a progressively debilitating disease that causes severe muscle weakness and functional disability. The equipment will allow us to deliver safe therapeutic exercise programmes in the CLEAR Unit at Oxford Brookes University. Throwing herself out of the door of a perfectly good aircraft flying at high altitude had not previously been at the top of Carol Smurthwaite’s ‘things to do’ list. 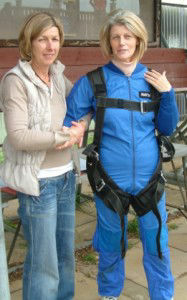 Nevertheless, in her quest to raise money for the CLEAR Trust Carol took a giant leap from 12,000 feet, and in the process raised £564. Carols’ story is all the more remarkable because she suffers severely from Multiple Sclerosis (MS), a progressively degenerative disease of the central nervous system leading to irreversible neurological and physical disability. Having volunteered to take part in a research project funded by the MS Society, for 3 months Carol made twice weekly visits to the CLEAR Unit at Oxford Brookes University and it was while she was pedalling away on an exercise bike that she noticed some charity cheques from the CLEAR Trust hanging on the wall. When she discovered that the CLEAR Trust regularly contributed funds for new equipment and research in the CLEAR Unit, Carol decided to do what she could to raise more money. 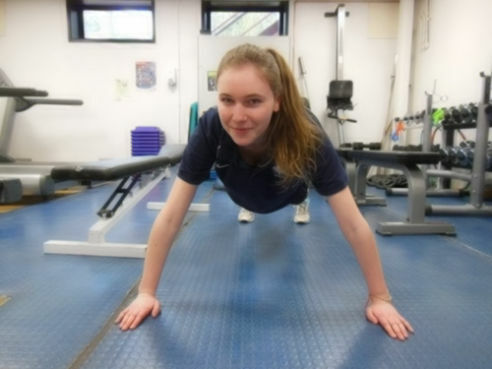 The CLEAR annual 1 hour press-up challenge took place at Oxford Brookes University in January. Robert Kenny won the Mens Open event with an astonishing 1866 push-ups, beating Daniel Toma into second place by only 50 (1810) push-ups. In third place was David Shorunke with 1051. 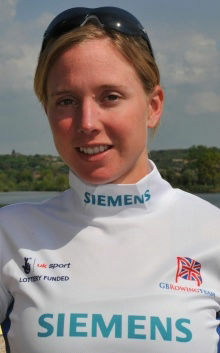 Professor Helen Dawes won the woman’s title with 385. Jojo Dawes won the Junior (under 17) title. She completed 250 push-ups in only 20 minutes (just off female world record pace). The event was well supported and raised almost £500.00 for the CLEAR Trust. After enduring many years of him hassling me, I have finally given in and agreed to embark on the challenge of cycling from John O’Groats to Lands’ End with my bother, Jon Dennis. The End to End race (everyone loves a bit of sibling rivalry) will commence on the 23March 2013 and we will be covering approx. 950 mile in 10 days. We are lucky enough to have two support teams who will work in relay. For the first leg of the trip, which will take us from John O’Groats to Chester, our parents Bob and Charlotte will be in support. Once we have reached Chester, our other half’s Donna and Gregg will take over and help us the remaining distance to Land’s End. The teams have been specially selected for their unique attribute that will aid our success, which have been detailed below….well they can all drive and offered to help! The charity that I chose to support is CLEAR Trust, a charity that aims to enable children and adults suffering from developmental and co-ordination difficulties, brain injury, spinal damage or long-term neurological disorders to participate in physical exercise and rehabilitation programmes”. All donations were greatly received and we thank you for your support. Dr Martyn Morris, Senior Lecturer, Sport, Coaching and Physical Education, Department of Sport and Health Sciences at Oxford Brookes University will be running a 58 mile mountain marathon in aid of the CLEAR Unit.